One large area of standing water on the corner of laurel and Lorraine and additional areas along Laurel. This water persists for weeks after rain fall (it rarely goes away entirely) and presents a perfect breeding ground for mosquitos. Tnx, pot holes been fixed. 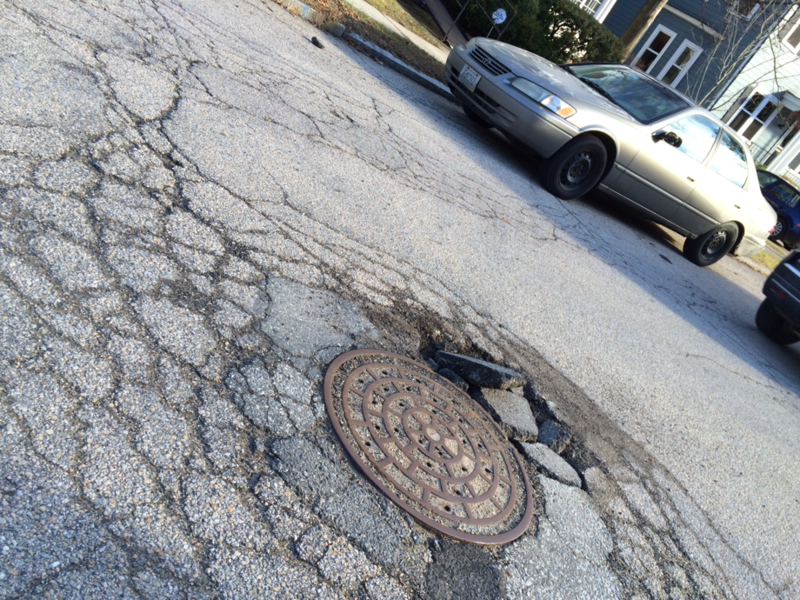 Same areas of potholes in Lorimer Avenue need to be fixed again. Thank you! Light blue Toyota Corolla with expired registration has been on the front lawn for at least 9 months. It was unsholved all winter. Apparently no one important looks at this site. Very dangerous pothole on Arlington near the intersection with Laurel. Will pop a tire or damage a rim. Here is a photo of the pothole. There are areas of the Blackstone Blvd. that have very deep washed out areas on the path itself, which make it dangerous to run/walk. It appears new gravel/sand just needs to be applied in some areas.